"This was my first time selling a home and Julie made the process as easy as possible. She described the process in detail and was extremely quick to respond to either e-mails or texts which I enjoyed as it is my preferred method of contact. She was very realistic in setting expectations and was very clear with all her explanations every step of the way. She sold my home very quickly in one of the slowest times of year for real estate. I strongly recommend utilizing her services!" "We purchased our dream home through Julie. 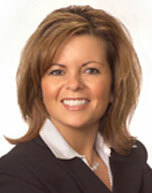 She was extremely knowledgeable about the real estate market in Kalamazoo. She was attentive to our questions, worked extremely hard and was very effective at negotiations. In a sea of Realtors who promise the world but take 3 days to return phone calls, she is rare and valuable commodity. (She also knows how to stage your home for sale so it looks warm and inviting for buyers!! She had some great suggestions for us and was right on the listing price.)" "Julie was able to recognize what needed to be done to help sell the condo. She made a few suggestions and then placed a few of her own items to make the condo very presentable. Julie was very easy to work with." - Bob and Sue, February, 2014. "Julie is AMAZING! She was absolutely wonderful to work with-throughout the whole home-buying process! Very professional, friendly, helpful, knowledgeable, and quick to respond whenever we had questions. She really went above and beyond the call to help us get a great deal on an awesome home & property!" "Working with Julie made the selling of our home stress free. Her work ethic and dedication to providing a positive selling experience was outstanding. She kept us in the loop throughout the entire process and guided us to make educated decisions!" "Our experience with Julie was nothing but positive. She went over the top to ensure we had a smooth transition from our old house to our new one. She sold our home in less than 2 weeks, when in the past we had had it listed for over a year and a half. Julie had great negotiating skills that enabled us to get a home that would have been far out of our price range. She was available 24/7 to answer questions and address any concerns. I would highly recommend you choose Julie as your real estate professional!" "We met Julie at an open house and were impressed with her friendly, yet professional manner (and we had met a lot of agents at open houses so we had a lot to compare her with!). We decided to contract with her to sell my home. Our experience has been nothing but positive. She keeps the lines of communication open, but respects your request for timeframes. She knows the market, gives realistic suggestions for improvements and is 100% knowledgeable in the process skills. She helped us find a new house. During that process she was very patient. She was willing to accommodate our whims in looking at a large variety of homes and listened to our likes and dislikes to help her find us the right match (which she did!). We will soon be contracting with her to list our second home. Once again she has respected our timeline needs, yet kept in contact as requested. We appreciate her and fully recommend her for anyone looking for a hardworking, professional realtor!" "Recently sold my home back in April with Julie's help. It took us awhile to sell (not her fault!) but it finally sold. She was really good with providing ideas for me to use to sell it as fast as possible. Whenever I had a question she was quick to reply to my emails and calls. She totally went out of her way to help me get it sold. Due to a job loss I had to do a short sale and she made the process as painless as possible. Without her help it would have been much more difficult. She was the one that helped me originally buy the house. No problems there either."